Ecumenical Vespers service presided by Cardinal Sean P. O’Malley and Greek Orthodox Metropolitan Methodios at St. Joseph Church in Needham June 28, 2013. The Catholic and Orthodox communities in Boston exchange delegations on the feasts of their patron saints — St. Andrew for the Orthodox in November and Sts. Peter and Paul for the Catholics in June. Ecumenical Vespers service presided by Cardinal Sean P. O’Malley and Greek Orthodox Metropolitan Methodios at St. Joseph Church in Needham June 28, 2013. 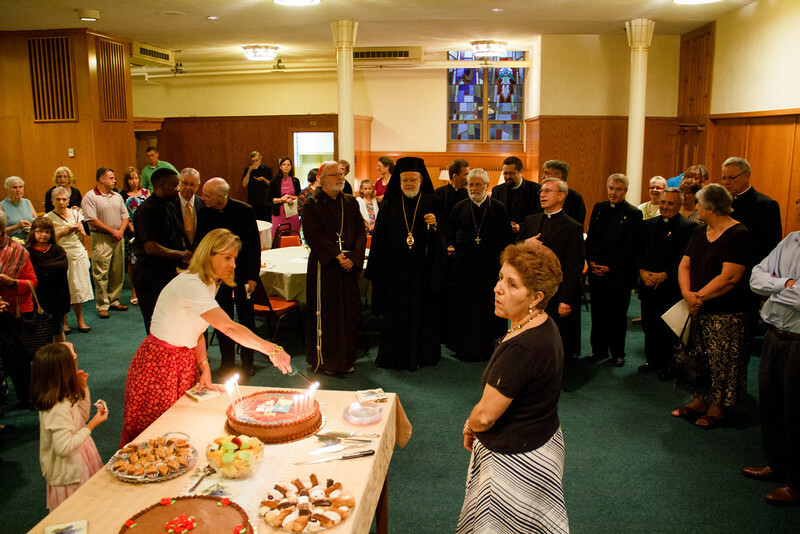 The Catholic and Orthodox communities in Boston exchange delegations on the feasts of the their patrons saints — St. Andrew for the Orthodox in November and Sts. Peter and Paul for the Catholics in June.